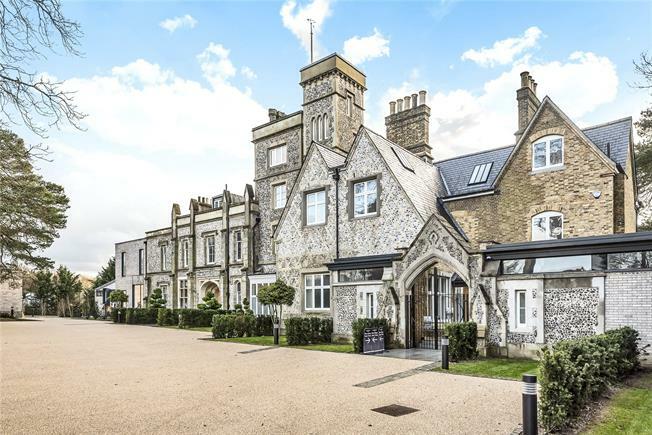 3 Bedroom Flat For Sale in Keston for Asking Price £1,395,000. A completely unique dual-aspect residence, on Ground floor level, benefitting from its own entrance and 3 areas of private outdoor space. The exclusive gated courtyard entrance, next to parking, is a unique feature. Facing west and east, it offers a degree of rarely seen privacy and exclusivity. This 1,711 sq ft. single-level apartment has three bedrooms, three bathrooms and generous living areas including a sun room, with split-level terracing having a wonderful outlook over the almost 3 acres of mature gardens. The development benefits from a secure "Club Room", containing a boot room, dog wash facility and storage. Visitor car spaces are situated towards the front of the grounds. Security has been well considered with CCTV, video entry and number plate recognition system to the front gate. Locally, the area is extremely popular offering a 17 minute train journey to London Victoria from Bromley South. With Hayes and Orpington stations only a few miles away, fast trains are available to Cannon Street, Charing Cross as well as Victoria. The Keston Ponds location is highly sought after, being surrounded by quiet, tree lined roads, large detached properties and the private gated estates of Keston Park and Farnborough Park. The village of Keston boasts a post office, several village shops and three popular pubs. Keston Common is popular for dog walking and the surrounding area benefits from several golf courses. Several popular schools are situated in the wider local area.